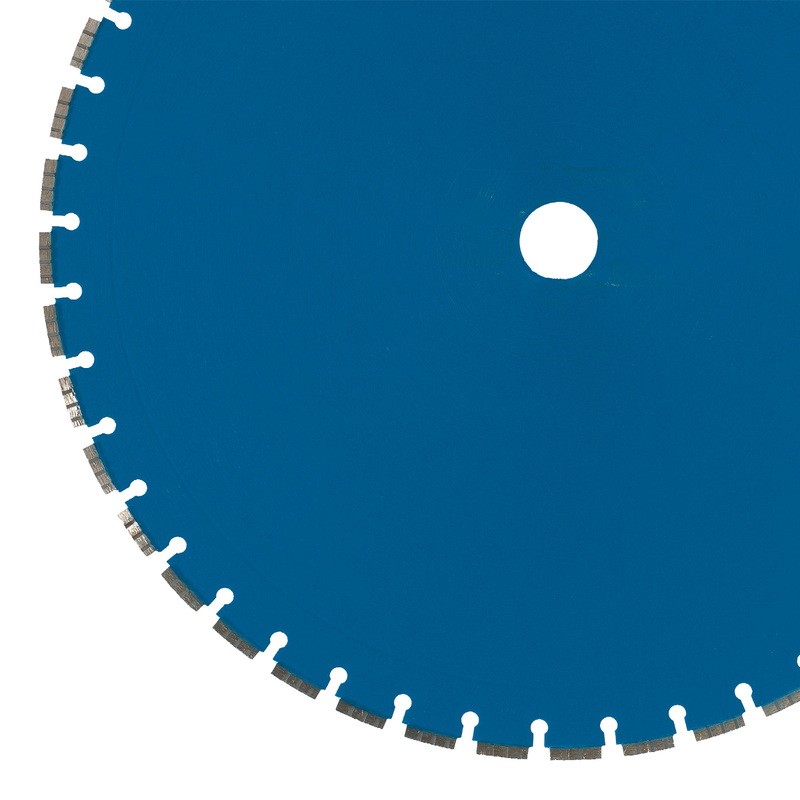 This is a wall cutting blade for demolition, with laser welding, designed for wall cutting machines with power higher than 15 kw. Its distinguishing features are the high performance together with a considerable speed, also with highly reinforced concrete. Such performances come from the special design of its segment and from the diamond sintering made with 2D technology (which allows the diamond bi-dimensional positioning during sintering).